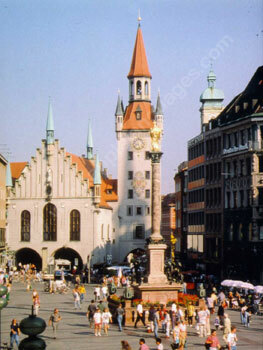 Take a German course in Munich, a modern, cosmopolitan city, on the edge of truly stunning landscapes. Just a few miles to the south of Munich lie the majestic Bavarian Alps, where you can ski, snowboard, or simply admire the breathtaking vistas. You can also enjoy wonderful views from the exquisite Frauenkirche, a gem in a city full of architectural beauty. 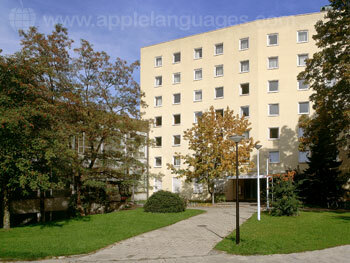 Best of all, our language school in Munich has its own on-site accommodation! 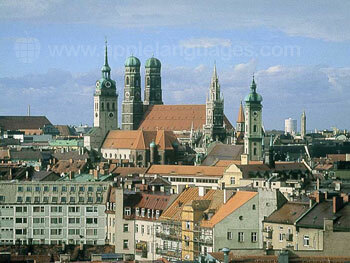 To learn German in Munich is to experience a bustling metropolis with friendly people and a deep respect for its history. A vibrant arts scene, plentiful nightlife and futuristic structures (like those on show at Olympiapark) are complemented by Bavarian tradition. Food and drink are particularly central to the local culture, so be sure to try delicacies such as ‘weisswürste’ (white sausages) and ‘Prinzregententorte’ (a delicious chocolate cake). 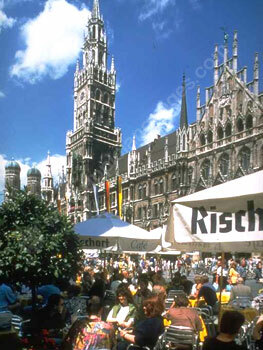 To sample the best beers that Bavaria has to offer, study German during the world famous Oktoberfest. 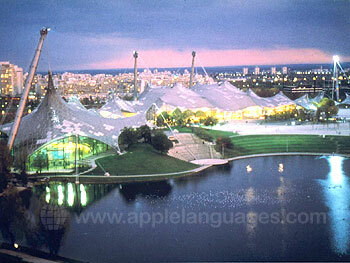 Your German lessons will take place in a spacious building just outside the city centre, close to the Olympiapark. In addition to on-site accommodation, the school has ten classrooms, a multimedia room, student lounge, cafeteria and wireless Internet access. The most popular course at our German language school is the Intensive Plus course, which covers all of the skills you’ll need to use German in everyday situations. It comprises 24 group-based German lessons and six self-study sessions each week, allowing you to reinforce language learnt during class with private study. Our school’s Combined courses, on the other hand, complement group lessons with individual tuition. Private German Lessons give our school’s expert teachers the chance to concentrate solely on furthering your language skills, so you’ll soon be speaking German with confidence! 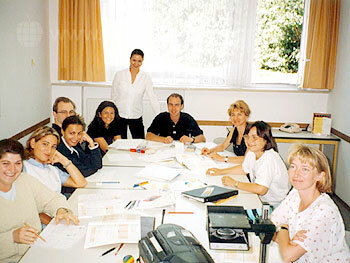 During the summer, our school also runs a business German course, which covers German business terms and practices. If you want to experience the world of German business in a practical way, why not let our school arrange an internship in a Germany company for you? Working in a German-speaking environment, you’ll dramatically improve your understanding of the language and the country’s business culture. 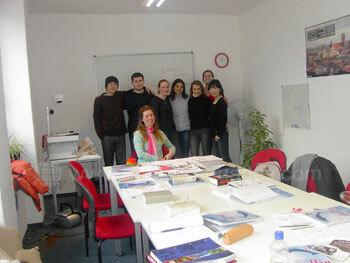 Please contact us if you have any questions regarding a particular German course in Munich – we’re here to help! 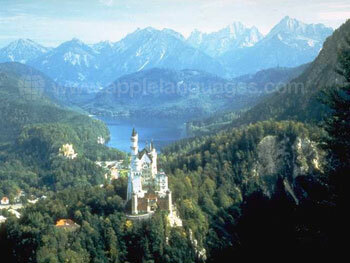 Enjoy the convenience of living on the same site where your German lessons take place. Our school’s on-site accommodation offers comfortable single and double rooms, with access to a shared bathroom, kitchen and student lounge. 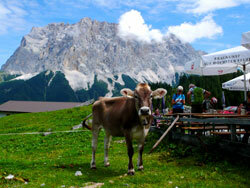 Experience the local culture and get plenty of language practice by living with a host family in Munich. Host family accommodation is available on a room only, bed & breakfast or half board (two meals per day) basis. 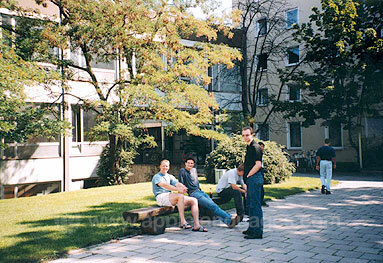 Alternatively, you can enjoy the privacy of your own fully equipped apartment whilst you learn German in Munich. Every apartment has a bathroom and self-catering facilities, with premium apartments also offering a telephone, pay-as-you-go Internet access and cable TV. Get the most from your time in Germany with our school’s packed activity program! Typical activities include cinema evenings, museum trips, nights out with classmates, ten-pin bowling and tours of Munich. Full and half day excursions will take you to places like Nymphenburg Castle, the Sea Life Centre, a waterpark and the wonderful city of Salzburg. Our school offers transfers from Munich Airport for an extra fee. 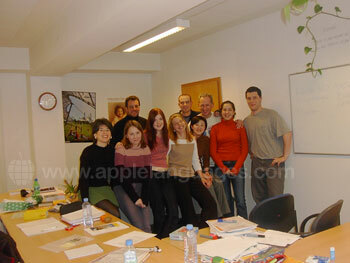 For further information about learning German in Munich, please contact us. Average score for our school in Munich based on 8 previous client reviews. Very good. Sometimes we have played too much during the classes instead of learning new stuff, but i've learned a lot in three weeks. In the accommodation the cupboard was broken and the lock from the door as well, I couldn't lock myself up during the night. The situation of the school was perfect and also the underground combinations. The activities program could be a little bit better but i find super good the fact that we could attend a "lernstudio" in the afternoons to learn even more. It really helped with grammar and the teachers were very helpful. But it started too early in the morning. I got a lot out of it, thanks. I learnt a lot on the course and the people were very friendly. The accommodation was great, good fun, very frendily and helpful! I was absolutely thrilled with the course. I feel I learned a lot and was particularly happy with the verb wheel we all got to keep as it is going to be very useful in the future. My teacher was very friendly an helpful and there was a very pleasant atmosphere in the classroom everyday, I thoroughly enjoyed it. Accommodation was excellent. Location was great with the train station so close to our door. Our house lady was so helpful and friendly, honestly don’t think I could have been any luckier! The house itself was spotless and we could always feel at home! Had my own key also which was great as I was free to come and go as I pleased. Food was also excellent. Was provided with all types of food for breakfast but also had the facility to use the microwave, kettle etc. if I wanted. It was brilliant!